If you didn’t have plans this Saturday, now you do. The Hacktory and the Prometheus Radio Project are offering a bilingual (English/Spanish) workshop to build your own radio transmitter, and Azavea is hosting an intro to Python for women and their friends. At The Hacktory, staff and volunteers from the Prometheus Radio Project will be teaching a workshop on how to build a small radio transmitter that can reach across a room. It’s an easy way to get music or speech across a short expanse wirelessly and it’s a great intro to basic electronics and soldering. Here’s an interview that Tek Lado did with the instructors. 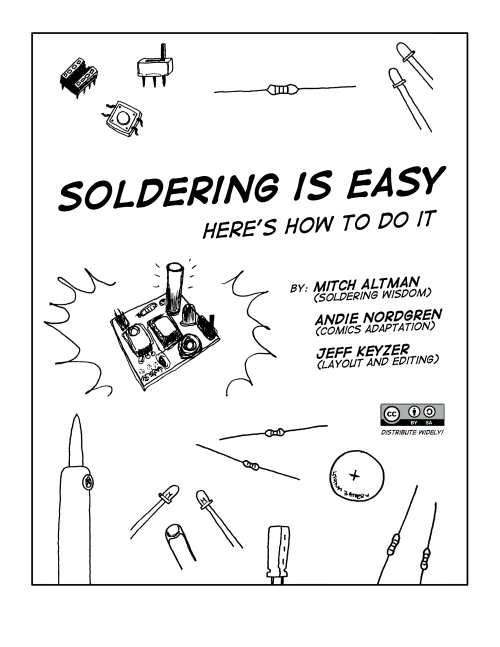 There’s a great new comic about how to solder by Mitch Altman, Andie Nordgren and Jeff “Mightyohm” Keyzer . 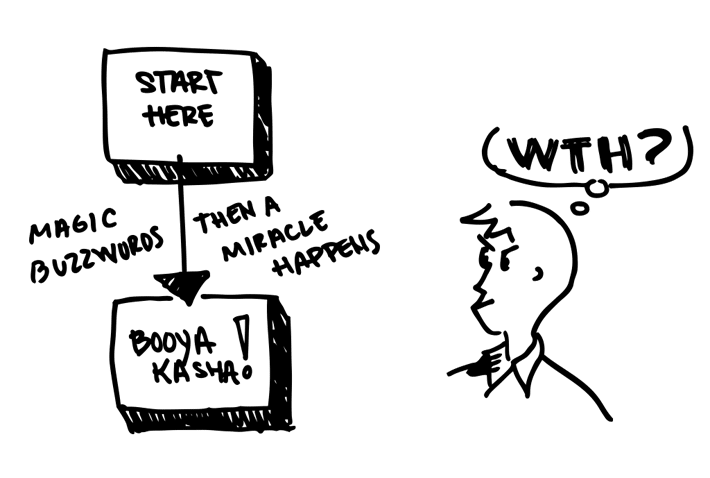 It’s based on a one-pager that Andie and Mitch made last year, and it’s totally cute and informative. It’s a fantastic example of friendly tech ed, and it’s shareable under a Creative Commons Attribution Share-Alike license. 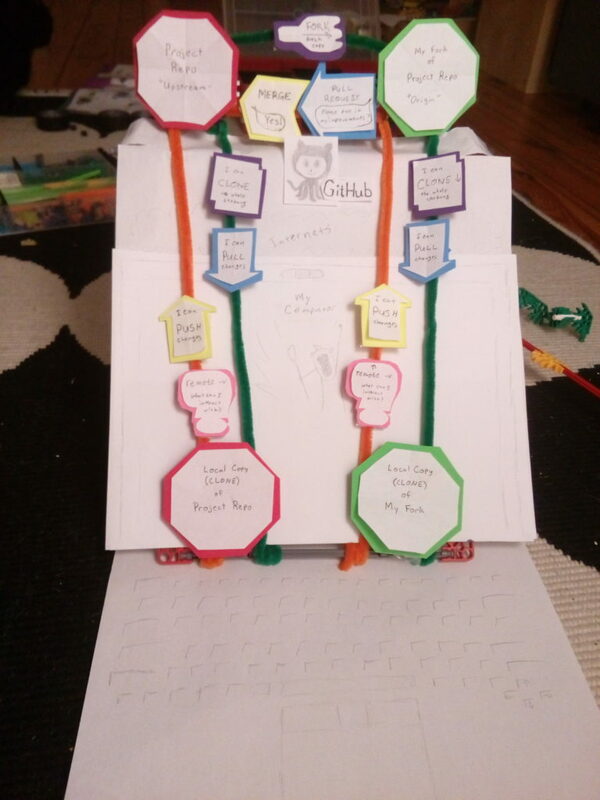 * Apparently the comic will be part of a book on microcontrollers for beginners that Mitch and Jeff are publishing through No Starch Press later this year. Here’s the pdf, and check out Jeff’s site for copies in other formats and languages, and even a no-text version if you want to make your own translation.